There are many ways to update your home – ornaments, picture frames, perhaps a new lick of paint or a fresh bunch of flowers, but there is an easier way to enhance your furniture collection: coffee tables. Coming in a wide range of shapes, sizes, and styles, they can add both elegance and practicality to your home. So how do you choose which one is right for you? If you have lots of family members or regularly entertain guests, a nest of tables (generally two or three tables in decreasing sizes) will give you more available surfaces to use, whereas end tables are convenient for everyday use when placed next to sofas and chairs in the lounge. Wooden coffee tables can create a casual look when placed in front of a sofa, whereas going for a marble coffee table may add a hint of glamour to your living room. It’s worth considering the material you choose carefully, especially if you have small children; glass coffee tables could be dangerous, whereas oak coffee tables will be more durable. 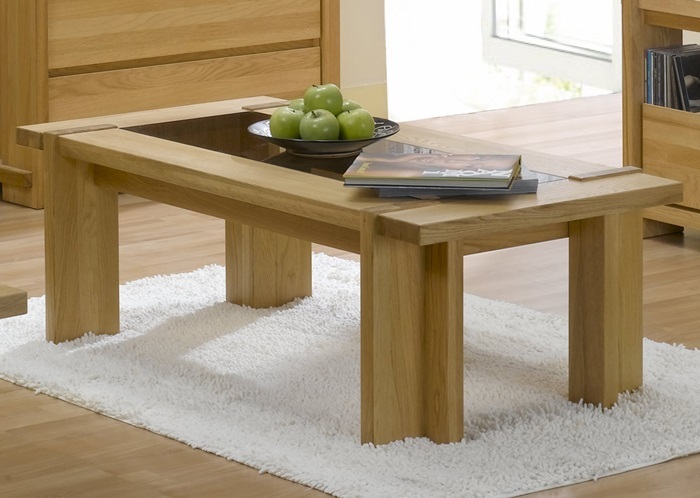 The size and shape of your room should be taken into account when looking for your perfect table. Large coffee tables can make a statement and help bring the room together into a central place, but make sure you’ve got the space to pull it off. A smaller table could be more practical if you only want it to place a few drinks on. If you’re looking for a square coffee table, again you’ll need to consider if it will be hazardous for any small children or pets you may have running around the place; a round coffee table may be safer. If your number one priority is space – and therefore keeping your room neat and tidy, with minimal mess – coffee tables with storage facilities could be the perfect solution.